It is insanely delicious and dare I say "healthy." It's a blend of both summer and fall. 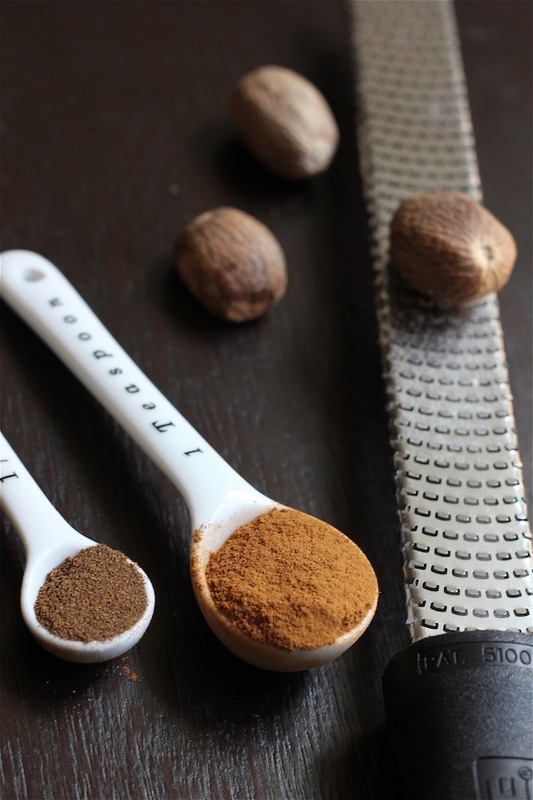 It has the warm flavors of cinnamon, allspice and freshly grated nutmeg. It also has a hint of freshness from the zucchini and a burst of sweetness from the pineapples and raisins. One might think that none of that goes together, but it really, really does. Preheat the oven to 350 degrees and grease a 9 x 5 x 3 inch loaf pan. In a mixing bowl, combine the flour, salt, cinnamon, allspice, nutmeg, baking powder and baking soda. In another bowl, mix the eggs, sugar, oil and vanilla until well combined. Add the dry ingredients to the wet ingredients and mix until well combined. Stir in the zucchini, pineapple and raisins. Pour the batter into the loaf pan and bake for 50 to 55 minutes or until a toothpick comes out clean. Cool in the pan for 5 minutes. Finish cooling on a wire rack. Super easy. To make it even better, grab some room temp butter or cream cheese. Slather the bread with either. Grab a cup of tea or milk or coffee- whatever floats your boat. Then enjoy! I literally can almost smell it from here........yum and yum. I will have to keep this and send it to my mom who is a zucchini bread fanatic. Thanks Tiffany! Love that there's pineapple in it, got to try this! I wish I was your neighbor. This would be perfect for my morning breakfast! I'm heading into the kitchen right now to go make this. I am super happy for you as your pictures are so amazing!!! You have the "EYE"
Mmm...I love zucchini bread. Something about veggies with sweet things just always works, doesn't it? (I'm looking at you, carrot cake). Love your blog doll - well designed and such beautiful photos!